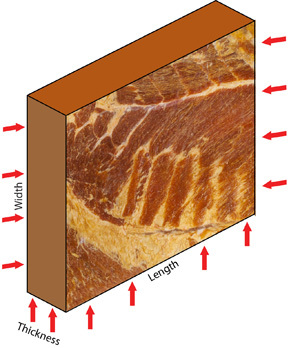 Danfotech bacon presses utilize a 3-dimensional press chamber to press products such as bacon, liver, Philly steak, roast beef and more to increase slicing yield. 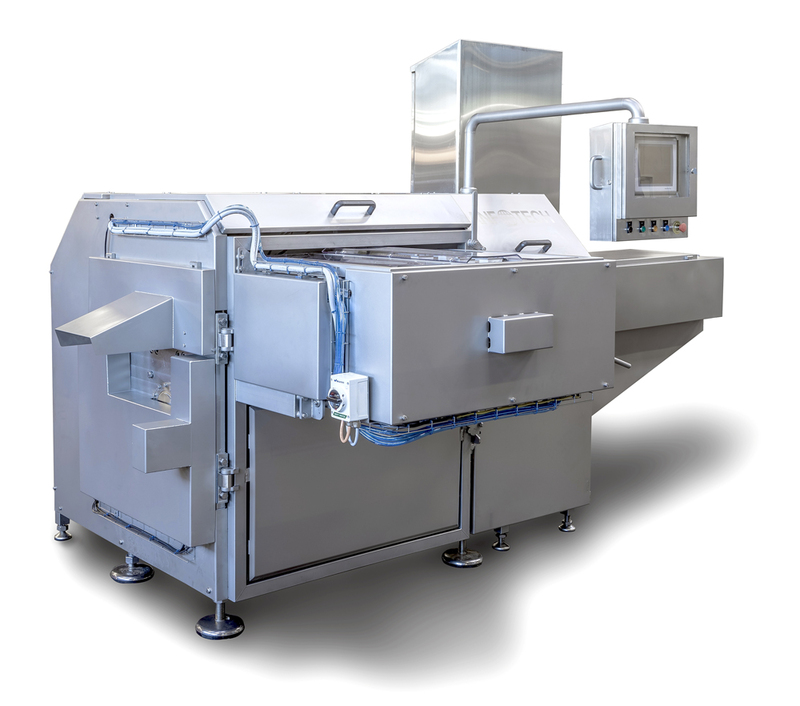 Presses come in different capacities, ranging from 8 up to 18 bellies per minute. 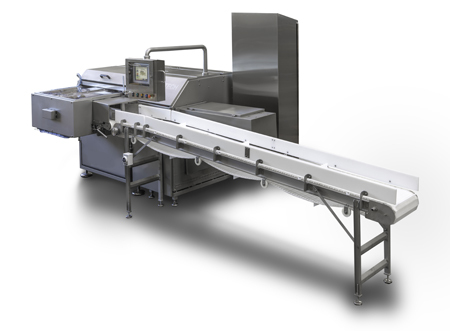 All presses come with Allen-Bradley touch screen controls and offer automatic infeed and discharge options with various ancillary systems available. Watch the Danfotech Bacon Press video. 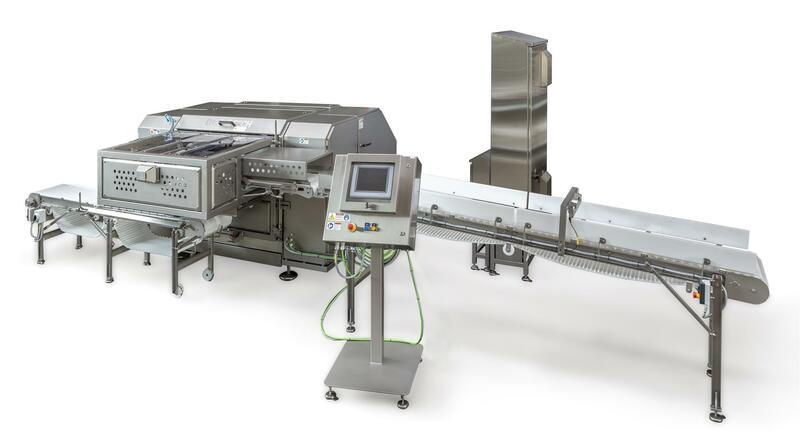 Three-dimensional pressure to attain uniform shape and quality for maximized slicing yields. • Less downtime for maintenance. • 6-8 cycles/min. press capacity. 40" x 16" x 4.7"